Today marks the conclusion of the high school state championship series. And it’s perfect timing, because this also happens to be the 400th track that I have posted. The final track on the list is in the final state on the list, Wyoming. 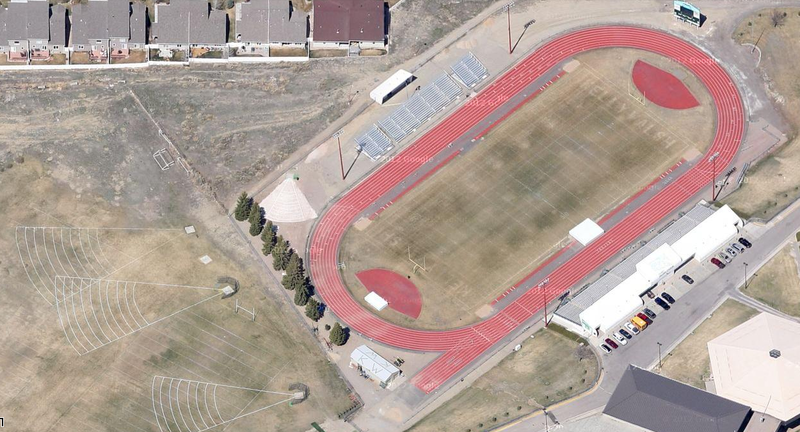 You can find today’s track at Kelly Walsh High School in Casper. The Wyoming state meet was held here this spring May 22nd through the 24th, for all four competitive classes. You can find links to the final results HERE. This looks like a nice high school facility. All of the jumps are located on the inside of the track. The throws are all outside. Bleachers on both sides make for convenient viewing.